Race promoter Singapore GP today launched an exclusive T-shirt design contest, which will be judged by multi-talented celebrity Pharrell Williams. Participants stand to win the ultimate fan experience at the 2015 FORMULA 1 SINGAPORE AIRLINES SINGAPORE GRAND PRIX. The winner will receive a coveted pair of money-can’t-buy Pharrell Williams Meet & Greet session passes, exclusive VIP passes to watch the global superstar’s debut solo full-length concert at the Padang Stage on Friday, 18 September as well as a T-shirt with their design. The Grammy Award winning producer and singer-songwriter is a creative force, using music, fashion and design to express his distinctive style. His smash single ‘Happy’ sold over 12 million copies and was Billboard’s #1 single for 2014. The feel-good anthem – the fourth track in 20 years to go triple platinum – also led to his first Academy Award nomination and two Grammy nominations. Voted as Fashion Icon by the Council of Fashion Designers of America, he has collaborated with brands including Louis Vuitton, Adidas, Uniqlo, Comme Des Garçons and G-Star. This is in addition to his own clothing lines, Billionaire Boys Club and ICECREAM that sit under his own multimedia creative collective and record label, i am OTHER. 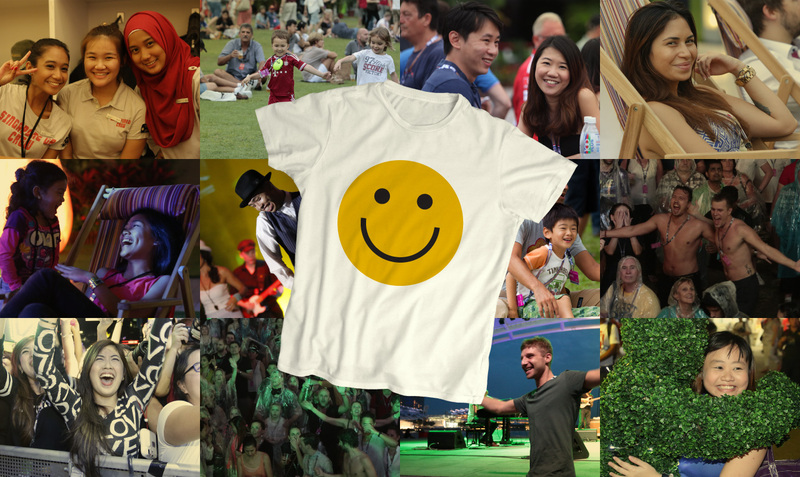 To participate, design a T-shirt based on the theme ‘HAPPY @ The Singapore Grand Prix’ and submit the entry at www.singaporegp.sg/pharrell-williams-tshirt/. This contest will close on 3 September 2015, 11.59pm. Tickets for the 2015 FORMULA 1 SINGAPORE AIRLINES SINGAPORE GRAND PRIX are available for sale at www.singaporegp.sg, via the ticketing hotline +65 6738 6738 as well as all authorised ticketing agents. For updates on the latest entertainment line-up, visit www.singaporegp.sg.